Edition: Revised with New Fees and Refo ed. 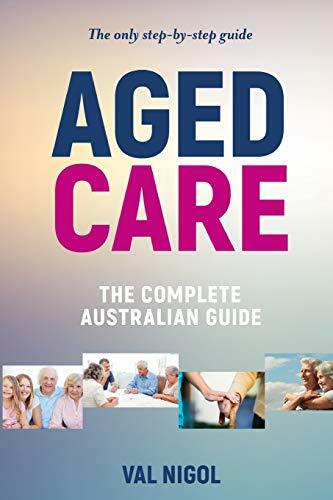 Aged Care, The complete Australian guide is the 6th edition of the most authoritative text on the process of receiving government assisted aged care either at home or in an aged care facility. The first paper edition, Aged Care Homes, The complete Australian guide, was published in 2008. To reflect the regular changes to aged care fees and charges since 2008, the author has published 5 eBook editions. These books are intended to be a step-by-step guide to accessing aged care in Australia whether that is in your own home or in a nursing home. It also covers the needs of the carer as well as the care recipient, respite care and palliative care. This 2016 edition incorporates the major overhaul and reform of the aged care sector introduced in 2014. One of the key reform elements was the introduction of more home based care packages and a “means tested” fee which not only takes into account an aged care residents income but also their assets including the value of an aged care resident’s home, up to a limited value. It is written in an easy to read style, a key feature of the book, with over 30 real life anecdotal stories highlighting important "take out" messages. The book is structured in four parts: home based care;residential care; finances and lists resources for additional information referenced with active links to relevant websites. Val Nigol is a Financial Planner and Chartered Accountant with more than 35 years experience in the financial services industry and 20 in the specialist niche of planning for aged-care finances. His career has spanned accountancy and taxation as a Chartered Accountant with several leading accountancy firms. He formed his own financial advice business over fifteen years ago and is a specialist in aged care advice and post-retirement financial planning.